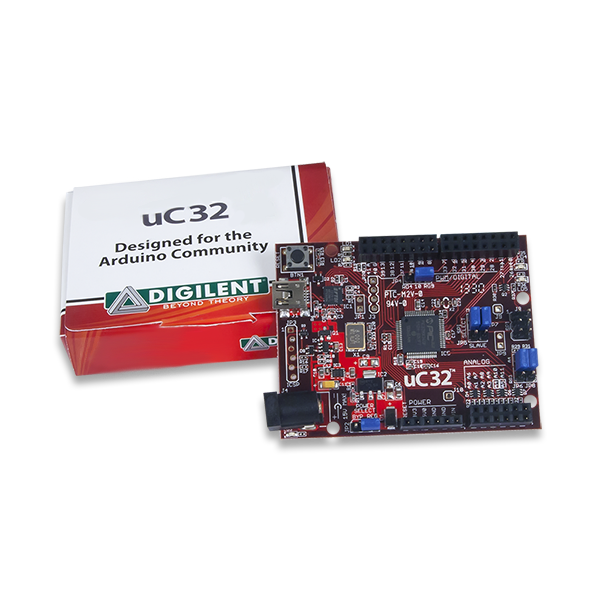 The uC32 is based on the popular Arduino™ open-source hardware prototyping platform and adds the performance of the Microchip® PIC32 microcontroller. 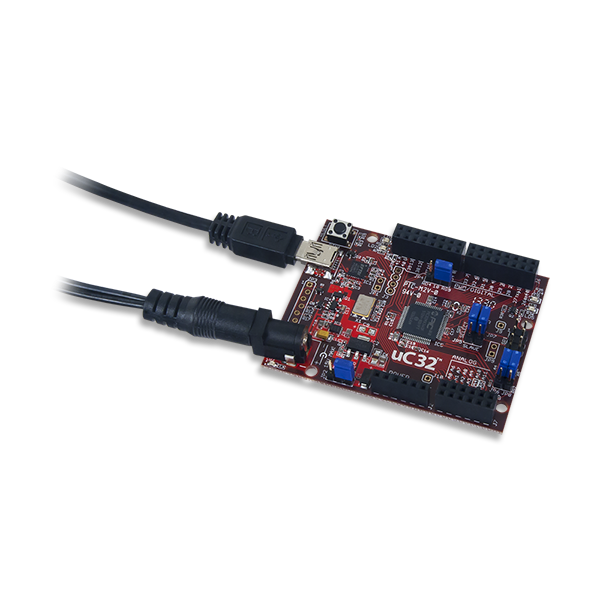 The uC32 is easy to use and suitable for both beginners and advanced users experimenting with electronics and embedded control systems. 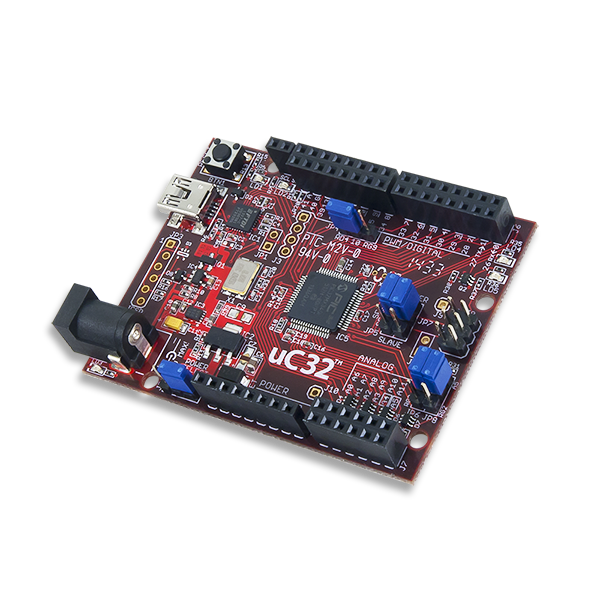 The uC32 is the same form factor as the Arduino Uno board and is compatible with Arduino shields. 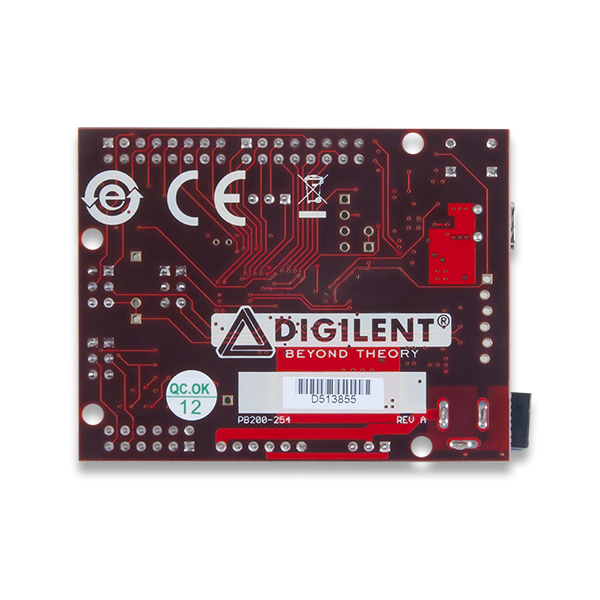 It features a USB serial port interface for connection to the IDE and can be powered via USB or an external power supply. 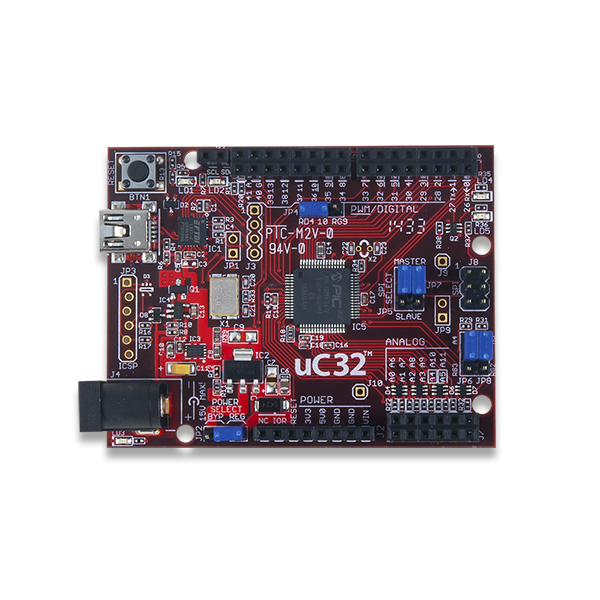 The uC32 board takes advantage of the powerful PIC32MX340F512 microcontroller, which features a 32-bit MIPS processor core running at 80 MHz, 512K of flash program memory, and 32K of SRAM data memory.